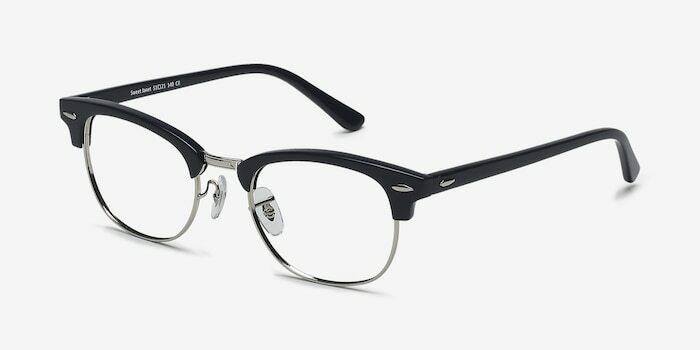 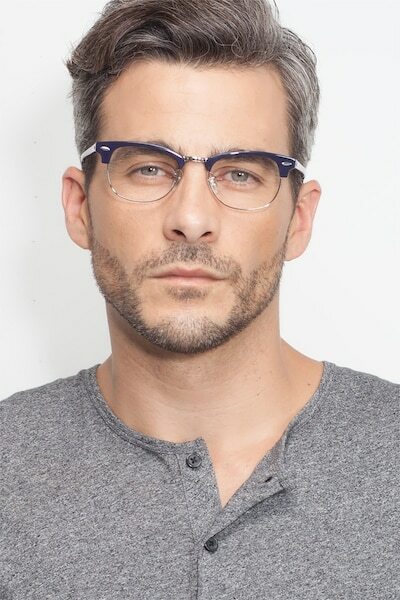 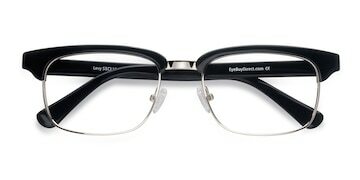 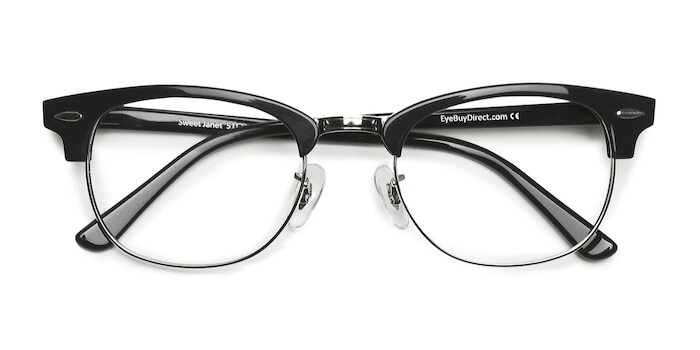 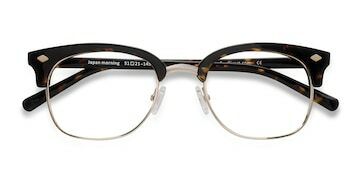 What’s old is new again with these navy and silver eyeglasses. 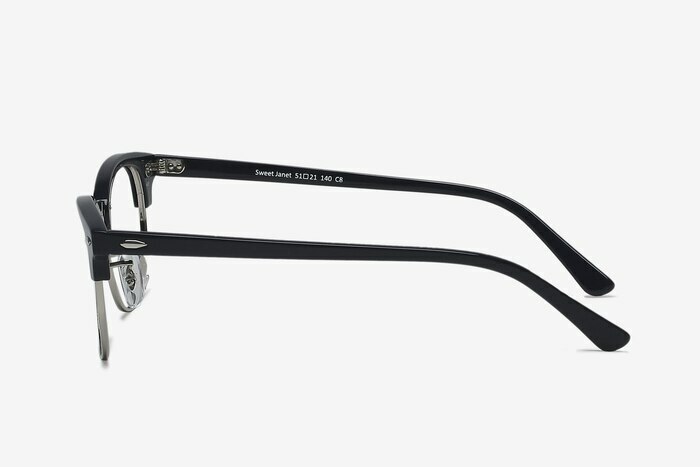 This 1950s clubmaster inspired style features a polished silver frame topped with navy acetate brows that flawlessly extend into the temples for a cohesive finish. 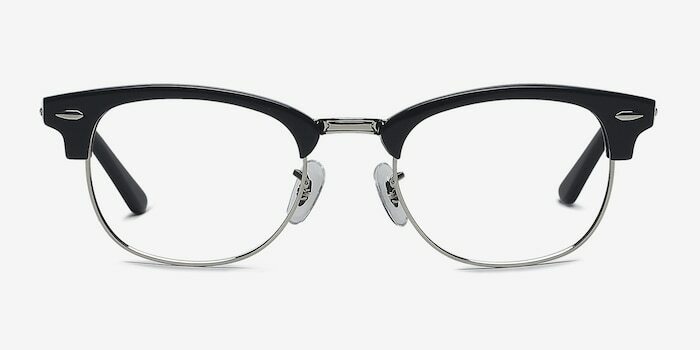 Wayfarer shaped lenses, single stud accents, and silver nose bridge complete this ultra retro look that satisfies both the guys and gals. Highly recommend these glasses, super cute, goes with every style, lots of compliments and they're a perfect size. 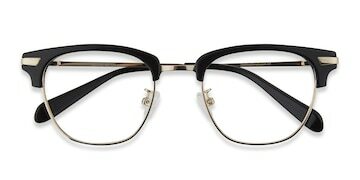 Company is great!